The divide between rural and urban India in terms of their access to electricity is quite stark. According to Census 2011, 80.7 million households in India live without electricity and of these about 75 million households are in rural areas. In terms of population, this means that 44.7 per cent of rural population does not have access to electricity, while the figure for urban areas is 7.3 per cent. Speaking at the Centre for Science and Environment’s ongoing annual conference in Delhi, former secretary to government of India, S B Agnihotri, said these figures show the extent of rural-urban inequality in the country. The situation has not improved much over the past decade. 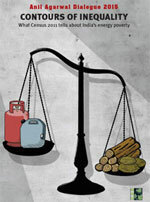 According to Census 2001, the number of households without electricity was 84.7 million. Globally, too, the scenario has not changed much over the past few decades. 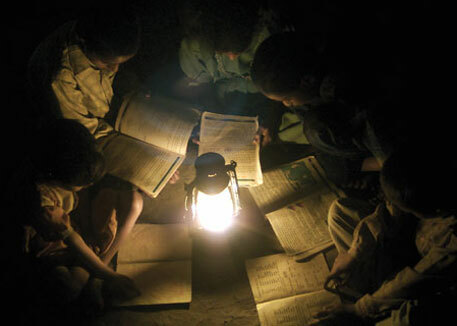 In 1992, the number of people who did not have access to electricity was 1.5 billion. The figure for 2012 is 1.3 billion, said experts during conference. Two-thirds of these 1.3 billion people live in 10 countries. The list includes India. i think statistics is wrong.total population of our country is 120 billion .no of houses will be one fourth of the total population.so at the most total no of houses will be less than 50 billion.